One of the most exciting games in Los Angeles this week won’t be featured at press conferences or on the showfloor. 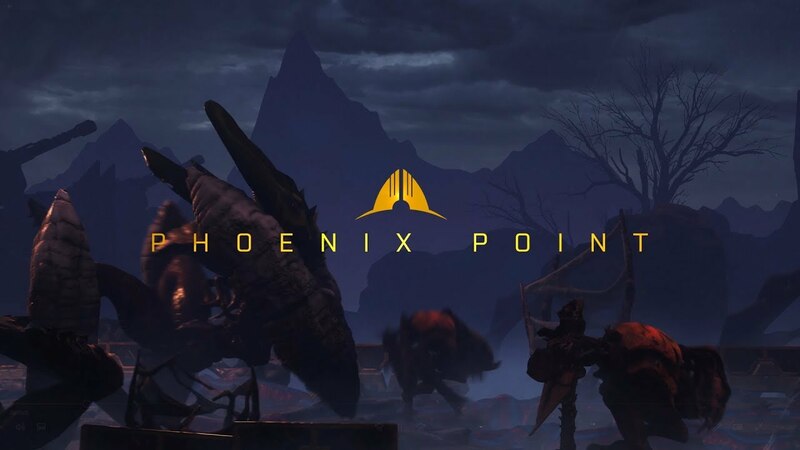 Phoenix Point [official site] is the new tactical-strategy hybrid from Julian Gollop, the creator of the original X-COM, and we met yesterday to discuss its procedurally generated alien threats, simulated human factions and much more. Here’s the world’s first in-depth look at the game. This is more than a remake of X-COM, that’s clear from the start. While the turn-based tactical combat looks a great deal like Firaxis’s take on the series, with destructible terrain and entirely procedural levels, the strongest and most exciting ideas in Phoenix Point might well be in the strategic layer, which combines elements of grand strategy with the lurking horror of Stephen King’s The Mist. Before digging into all of that though, here’s how the future looks. It’s not pretty. Phoenix Point may be humanity’s last hope. An isolated settlement of survivors in a world that has gone to hell, it’s a peak rising above a tide of horrors that are threatening to consume what remains of humankind. Your task is to lead the ragtag band of people who have made Phoenix Point their home, at first ensuring that they survive by gathering food and other resources, and later by fighting back against the threats that surround them. The game is set in 2046 and the last pockets of the human race are hiding in havens, scattered around the world. That’s because something went terribly wrong a couple of decades ago, when the melting of the permafrost released a long-dormant alien virus into the oceans. That virus is capable of mutating any species it comes into contact with, which leads to an initial wave of horrific aquatic creatures, reminiscent of Terror From The Deep, and eventually makes its way onto land. The virus spreads under the cloak of a mist that you’ll be able to see spreading across the map. It plays a part in tactical combat as well as on the strategic Geoscape layer, and I’ll go into more detail about that later, but right now it’s best to think of it as both a cover system and a literal fog of war. It hides creatures and protects them, and represents both the presence of the alien hordes and a form of corruption that they’re spreading across Earth. One of the key tenets of Phoenix Point is taken from the most important word in X-COM’s title: Unknown. Gollop tells me that he wants to create a game in which the player will fear the dark and in which the enemy will intelligently react and adapt to their tactical choices. If you repel an initial wave using skillful sniper shots, the next attack might feature new monsters with chitinous shields or front-facing armour, or humanoid hybrids with guns of their own to return fire. Switch tactics to take these new creatures out with incendiary weapons or explosives, and the next batch will find ways to counter that tactic as well. And if all else fails, the aliens can always just beat you down with their sheer size. Initially, the aliens you fight will be based on combinations of sea creatures – I saw crab men but Gollop mentions squids, octopi and sharks as well – but as they force their way in-land, new hybrids will appear, based on animals from the regions in question. That means your location in the world will dictate, to an extent, whether you’re facing petrifying pachyderms or…giant penguins? I make the latter suggestion and Gollop seems enthused. Part Dali, part Cronenberg, the aliens of Pheonix Point won’t just be unknown on each playthrough, they’ll be uncanny. And when Gollop uses the word “giant”, he’s not talking about a beefy Muton. Pointing out a skittering monstrosity that seems more claw than flesh and could probably lob a small building at your squad, he describes it as “a tiddler”. Later, when he shows me the first example of a mission in action, the sequence ends with an oil rig being assaulted by something emerging from the deep that seems almost large enough to devour the entire structure. It’s more reminiscent of Dagon’s attack in Cthulhu: Dark Corners of the Earth than anything I’d expect from X-COM and the Lovecraft quote that opens the presentation makes a lot more sense in the context of these gargantuan horrors. This is a game about biological horror but the virus is cosmic in origin and, I suspect, some of the late game developments will focus on that element. We should rewind a little though because as fascinating as the creatures are, and as central to the themes and mechanics of the game as they might be, I’m surprised to find myself more excited about how Gollop is handling the other human survivors. Aliens, I expected; I didn’t expect a deep strategic simulation reminiscent of both Alpha Centauri’s factions, grand strategy and X-COM: Apocalypse’s complex diplomacy. The loop of the original X-COM and Firaxis’ take on the series involves sequences of alien activity, both in the tactical and strategic levels, and then the player’s response. Phoenix Point adds an extra complication with the activity of other factions. Across the world, you’ll discover havens, places where humans have managed to survive, usually because of some geographical quirk that prevents the alien mist from drowning them. Because the collapse of civilisation and the presence of the mist have isolated these havens from one another, they’ve developed radically different ways of thinking about the world, and the aliens. That means they might be friendly or hostile to you, and to one another, depending on how you choose to progress through any given playthrough. It’s the fact that they might attack one another that I find most exciting. When it comes to strategy games, I always feel much more comfortable within a simulated world that can unfold without my influence. It’s one of the reasons I love Paradox’s grand strategy releases: they’re engines for the creation of alternate histories that you can partake in, but they don’t direct all of their attention toward the player. Phoenix Point, like Apocalypse before it, shares some of those qualities. Factions will develop their own agendas and develop technology, and they need to gather resources to survive just as you do. They’ll make alliances and fight one another, as well as battling against the aliens, and entire conflicts and emergent stories can play out without your involvement should you choose to turn your attention elsewhere. You might be wondering why the last remnants of humanity would be fighting one another rather than concentrating on an external threat. First of all, their isolationist nature and divergent ideologies sometimes means they just plain don’t like one another. And then there’s the scarcity of resources in the world – if you need to feed your people and the group just over yonder has a surplus of food that they won’t trade, it’s possible to organise raids. Of course, you might believe your interests are better served by alliances. Trade and diplomacy are both supported but the distinct belief systems and goals of the factions will eventually cause tension and conflict. You can’t be friends with everyone. There are likely to be more types of human group in the finished game but Gollop has three in mind already. Sanctuary are a highly scientific ecological group who believe that the future of the planet involves co-existence with the aliens. To that end, they’re developing biospheres in which to contain lifeforms – artificial ecosystems of a sort – and early warning systems, as well as technology that can repel the mist. Their motto, in brief, is “we stay in our space and you stay in yours”. Taking the opposite view, the Human League are a survivalist militia who believe they can find a military solution to the menace. They don’t think co-existence is possible and want to repel the invasion through force. Finally, there’s Advena Domine, a religious cult who sacrifice their enemies in a ritual of alien ‘communion’. Normally when a human is infected with the virus, like any other animal they lose their consciousness and become a puppet of the alien force. The cult have developed a tech that allows them to receive the alien DNA while retaining their own consciousness. In a further twist on the game’s structure, you’ll be able to use the unique tech developed by each of the factions provided you can seize it or have a strong enough relationship to allow for shared research. When it comes to the Advena Domine technology, there’s a distinct nod to Enemy Within – altering your soldiers’ DNA may be beneficial but there is a risk of losing their humanity entirely. There several other branches of research independent of the other factions. One is purely based on building earth-based technology to improve weapons, armour and equipment, and others are based on the X-COM staple of autopsy and study of the aliens themselves. If you meet a mutant form that is vulnerable to fire, for example, you’ll be able to set your researchers to discover ways to exploit that vulnerability, through development of flamethrowers or incendiary rounds, for example. You’ll be able to explore biogenetics even without Advena Domine influence as well, taking elements of the aliens you encounter to ‘improve’ your own soldiers. All of that comes later though. Initially, your goal is simply to survive. In an inversion of the usual X-COM setup, you begin with technical superiority but the aliens have sheer weight of numbers in their favour, as well as their ability to mutate and adapt. The other factions will generate missions for you in the early game, providing supplies and tech if you are willing to help them when they’re attacked, but you’ll also need to repel attacks on your own havens. If the mist encroaches on your territory, there’s an immediate risk of attack. As well as defending what you own, you’ll also need to concentrate on expanding your territory, however, in order to make contact with other factions and to increase the flow of supplies by discovering new scavenging zones. All of this takes place on a Geoscape that looks remarkably like a directly updated version of X-COM’s original globe. There, you can see the advance of the mist and key strategic points, such as scavenging locations and havens. The majority of your time will be spent in tactical combat, however. Levels are procedurally generated, just as the creatures are, and the visual style is similar to Firaxis’ XCOM. There are changes, however, most notably in the ability to target specific body parts, primarily on larger creatures. You can take out the arm that wields (or IS) a gun, or damage legs to reduce or disable mobility. In the mission I was shown, a creature with a growth on its back that emitted mist, providing cover, shrouded itself in darkness, reducing the accuracy of attacks against it and entirely hiding it from view. Mist plays a key part in battles, providing a more literal fog of war. Monsters within the mist are a mystery – you can fire on them but they’re indistinct shapes and you won’t have any idea what their abilities are until they emerge or you find a way to evaporate the mist and reveal them. In the example I saw, a sniper with a height advantage managed to take a shot that ruptured the growth from above, infuriating the creature but destroying its ability to hide itself and its allies. The procedural levels will have their own in-built mini objectives in the form of strategic points scattered throughout. These might be elevated structures or vantages, control rooms, or alien installations. Taking control of them will allow you to play tactical cards, brought into combat from a deck built in the strategic layer, that provide buffs to individual soldiers or entire squads. Soldiers themselves are fully customisable and there’s an air of XCOM 2’s ragtag bands about them. Post-apocalyptic fighters, without uniforms or regulation haircuts. As well as cosmetic alterations, you’ll be able to give them equipment including spotter drones, various armour types and other enhancements, as well as the weapons you’ve researched. Gollop says class delineations won’t be as strictly defined as in XCOM and its sequel, but it’ll be advantageous to build diverse squads. All of the changes to the core X-COM idea – whether it be the addition of diplomacy and simulated human factions or the adaptive mutations of the aliens themselves – appear to serve a single purpose. Gollop wants to create an open world strategy game and he wants to create a game that forces the player to alter strategies and tactics on the fly. A successful tactic won’t be effective forever because the enemy will literally morph in order to counter it, and the very weapons you decide to use will determine the kind of aliens you meet. It’s a tremendously exciting proposition, combining the fears and anxieties of the original X-COM with the polish of Firaxis’ remake. Add that dash of grand strategy and the memories of Apocalypse’s strongest ideas and Phoenix Point becomes something unique. When I arranged to meet Gollop I was half-expecting the game to rely much more on the legacy of its creator and his most famous game. I knew about the adaptive nature of the aliens and the ability to target individual body parts but that seemed like a wrinkle added to the tactical combat rather than a dramatic change. We won’t be able to play a finished version for a while though. It’s due out in 2018 and it’ll probably be the second half of the year. Gollop is in town to talk to publishers as well as press, and already has a working prototype of the strategic game. Tactical combat is almost ready as well, in pre-alpha form. With its inter-faction diplomacy and strategic simulation, Phoenix Point excites me far more than a more direct attempt to tap into the memory of X-COM would have done. It’s a bold game which has taken lessons from every strategy game in the series, including Firaxis’ remakes (which Gollop repeatedly enthuses about), but also looks at the wider field of grand strategy and survival horror. For a strategy fan, it’s hard to think of a more exciting reveal in a week that doesn’t normally make a great deal of space for the genre. Adam Smith wrote: A new teaser trailer gives very little away, but does arrive alongside news that John Broomhall, composer of X-COM’s superbly creepy music, has joined the team as audio director and composer, and that Jonas ‘Talos Principle’ Kyratzes has joined the writing team. Added to Most Wanted section. This takes it up to 31 games, but I don't care. I'll shoot for 40 or 50 or whatever. I mean why not? The page can be as long as I like. Fantastic-looking game and great official site too. It'd be nice if they can put the fear of God into Firaxis and force them to up their game. Not great as a trailer, but good as a demonstration of some features. It'll be exclusive for just a year according to PC Gamer. Might I say... an epic win?